It's the first of December, seriously how did that happen? Now, before I go on about how much I can't believe it's December and blah blah, I'm gonna stop myself, because we could be here all day! As we've all got advent calendars to open, a Christmas tree to get from the loft and probably too much mess to clean up from that cheeky little elf that's going to be staying all month. 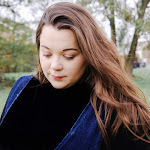 November has been a busy month full of planning and putting ideas into blog posts for December, because let's face it December is the month to remember. Anyway, if you have read my 50 blog post ideas for Blogmas, you've got a pretty good idea that I will be taking part in the blogmas challenge this year. So, welcome to blogmas. For those who are not familiar with blogmas, it's a daily blogging challenge where you basically write post for each day right up into the big day. It's as simple as that. So as you can probably imagine, every post is pretty much Christmas themed, so if you don't like Christmas you probably won't like my blog for the next month, come back in January! Obviously I'm kidding, so please don't go. But I'm sure you'll come across a few themed posts over the next month in this wonderful world of blogging. This last month we have been crazy busy with our personal life as well as our blogging life so it feels pretty good to finally be able to breathe and reveal all this month. Now don't forget to subscribe to my email so that you don't miss a post. You can follow my blog on Bloglovin, I'll also be posting links on my Twitter and Instagram so don't worry. I am a little excited to start getting these posts out as I have worked so hard on them and I hope you enjoy them! You'll have to let me know if you're taking part in blogmas this year? Let me know in the comments below and I'll pop over for a nosy. 2 comments on "Welcome to Blogmas"
I'm also kind of doing blogmas and would appreciate ur support! Heres the main page that links to all of them!